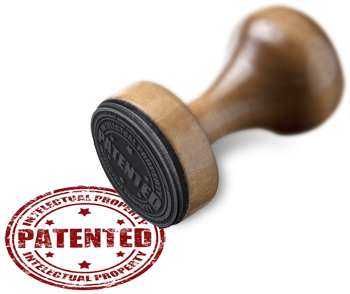 The following is a non-exhaustive list of patents owned by TimeTec Holding Sdn. Bhd.. Please refrain from making commercial use of the listed patents without first requesting and receiving written licenses from us to do so. Note: TimeTec's or FingerTec's Products and Services may be covered by one or more of the following patents owned by TimeTec Holding Sdn. Bhd. and/or its affiliates or licensors. The present invention discloses a computer-implemented method for monitoring activities of patrols within a predetermined compound comprising the steps of tracking, via a waypoint location module (10), location of dedicated mobile device in real time; calculating, via an administrator module (20), an idle time of the mobile device when the location of the mobile device remains stationary over a predetermined period of time; determining, via administrator module (20), abnormally of the respective patrol based on calculated idle time; tracking, via a tracking module (30), activities of the guard mobile device upon the occurrence of abnormal event; analysing, via the administrator module (20), the tracked activities of the guard mobile device to determine safety adequacy of the patrols; and updating, via a reporting module (40), the safefy adequancy of the patrols based on the analysis. The present invention discloses a computer-implemented method for providing 5 remote access control by voice command and voice recognition, the method comprising the following steps in the sequence set forth: detecting, by a transceiver of a mobile device (20), at least one controller (10) of remote access control system within a predetermined radial distance and establishes a communication link automatically to at least one detected controller using a short range communication 10 protocol for retrieving information relating to the at least one detected controller; determining, by an application of the mobile device, whether the at least one detected controller is a pre-assigned controller by comparing the retrieved controller information to a pre-stored template; prompting, by the application of the mobile device, a user (20) to complete a voice authentication on the mobile device 15 automatically upon the detection of pre-assigned controller (10); and transmitting, by transceiver of the mobile device, an instruction to the pre-assigned controller using the short range communication protocol to provide an accessibility of the remote access control system to the user according to the user’s access level upon successful authentication. The present invention discloses a computer-implemented method for authenticating access via contactless short-range communication, the method comprising the following steps in the sequence set forth : detecting, by a transceiver of a mobile device (30), at least one controller (10) of an access control system within a predetermined radial distance through a first short-range communication protocol and 10 establishes a communication link automatically to at least one detected controller (10);identifying, by an application of the mobile device (30), at least one designated controller (10) for an access of a user based on comparison of the at least one detected controller (10) against pre-stored authentication information; prompting, by the application of the mobile device (30), the user to verify a tag in proximity to its 15 correspondence designated controller (10) through a second short-range communication protocol initiated automatically upon identification of the designated controller (10); and transmitting, by the mobile device (30), an instruction to the designated controller (10) using the first and second short-range communication protocols to provide an accessibility to the user according to the user’s access level 20 upon successful authentication. The present invention discloses an electronic platform system comprises one or more cloud database (140) connected to a communication network (130); a store platform (201) connected to cloud database (140) via the communication network (130), configured to display a list of products and/or services for an user to select; a payment platform (202) connected to the store platform (201) via the communication network (130), configured to allow the user to make a purchase directly from the store platform (201); and an application server (200) connected to the cloud database (140) via the communication network (130), wherein the application server (200) comprises: a camera module (203) configured to communicate with at least one camera (110), retrieve visual and/or audio data from the camera (110), store the visual and/or audio data in the cloud database (140), a codec processing unit (204) for encoding or decoding the stored visual and/or audio data, and a web server (205) for a computing device of the user (120) to retrieve or display the stored visual and/or audio data from the cloud database (140) or display the visual and/or audio data directly from the camera (110) in real time. A time and attendance recording system comprising a computing apparatus in communication with a database, which stores a plurality of registered user identities and each registered user identity is tied to an account; a time clock, connected to the computing apparatus, configured to send a user identity to the computing apparatus upon receiving the user identity from a user and the sent user identity is tagged with a timestamp recording the time and date which the user identity is received; wherein the computing apparatus is operative to verify the sent user identity against the registered user identities; determine an attendance status, check-in or check-out, of the user by comparing the tagged timestamp against a predetermined time interval which is assigned with the attendance status, characterized in that the attendance status in the system is free from user intervention. No Illustration For Abstract. This disclosure describes an attendance system comprising a target device installed at a location that has a NFC tag and a processor; a mobile device incorporated with NFC module having a unique identification information of a user, and configured to communicate with the target device through performing an action to bring the NFC module in close proximity with the NFC tag when the user checks in or out from the location; and a central station defining at least a server wirelessly connected to the processor with a database for storing data related to the attendance event, identification information of the user and location of the target device; wherein the mobile device is incorporated with a positioning module for detecting position of the user such that the attendance event is recorded when the position of the user matches with the location of the target device that defines an allowable user position which is preset using the positioning module and stored in the database, and the unique identification information from the NFC module corresponds with the identification information of the user that is saved in the database. A system for collecting and transferring electronic information comprising: one or more servers (200), having one or more centralized databases for storing and/or retrieving the data, connected to a network (500); one or more computing devices (300) connected to the servers (200) via the network (500) for retrieving the data from the centralized databases; a plurality of biometric devices (100) connected to the servers via the network (500), located at different locations, and each biometric device (100) comprises: means for identifying users based on biometric data of the users; means for storing the biometric data and activity information of the users; and means for sending the biometric data and activity information to the servers (200), in communication with the servers (200) in real time via the network (500); characterized in that the biometric devices (100) are configured to identify a user based on the biometric data, and collect activity information of the user, following which real time activity information together with the corresponding biometric data of the user is sent to the servers (200) based on HTTP PUSH protocol; wherein the activity information and the biometric data of the users are stored in the centralized databases of the servers (200) and are enabled to be retrieved by the computing devices (300). The present invention discloses a biometric device (1) incorporated with an android platform for time and attendance application, the biometric device (1) comprising: one or more biometric sensing module (2, 3) for receiving biometric and time attendance data of an user; an attendance module (10) integrated with one or more predetermined rules for organizing and managing the received data in a way such that the organized data can be directly used in payroll calculation and generation of attendance report; a scheduling module (11) for managing and implementing the predetermined rules; a duty rosters module (12) configured to receive information relating to duty rosters, holidays, and leaves from the user, and to transmit the received information to the scheduling module (11); a payroll module (14) for calculating paychecks of the user based on the organized data; a reporting module (15) configured to generate attendance reports and to export the generated attendance reports in a designated form; and a display module (16) for displaying the outputs of the modules. The present invention discloses a method for automatically recording time attendance of a user comprising the steps of: accepting, by a biometric device, biometric data and entry time data of the user; transmitting, by the biometric device, the accepted data to a processor via a communication network; comparing, by the processor, the accepted data with those stored in a database to identify the user and a corresponding working schedule of the user; applying, by the processor, a set of predefined rules based on the working schedule of the user to a time attendance template of the user; and organizing, by the processor, the entry time data of the user into the time attendance template of the user. The present invention discloses a method for electronic attendance recording including at least one mobile device, comprises the steps of activating a local positioning system of the mobile device to acquire position information of the mobile device; and determining movements of the mobile device based on the acquired position information; characterised in that in the event that the mobile device passes through at least one boundary pre-defined by geo-fencing technique, it causes the mobile device to temporarily activate an indoor positioning system or a global positioning system for retrieving position information with higher accuracy than the local positioning system, and then generates an attendance record based on the retrieved position information. The present invention discloses a system and method for recording electronic attendance, the method comprises the following steps in the sequence set forth: establishing, by a mobile device, a communication link between a server and the mobile device; activating, an application of the mobile device via an verification process; upon activation of the application, detecting and identifying, by the application, a checkpoint station carrying information relating to a checkpoint identifier; establishing, by the mobile device, a communication link between the checkpoint station and the mobile device for data transmission; reading, by the application, information relating to the checkpoint identifier from the checkpoint station; generating, by the application, an encrypted attendance record; transmitting, by the application, the encrypted attendance record to the server via the communication network; decrypting, by a decoder of the server, the encrypted attendance record; and updating, by the server, the record to an attendance report of an account. The present disclosure relates to a comprehensive system and associated method (100) for real-time monitoring and management of the patrolling operations by a number of security personnel. The present system (100) includes one or more 10 electronic communication devices (102) that are configured to run a security patrol management application. The system (100) further includes a centralized server (104) running a server side security patrol management application capable of directly communicating with the security patrol management application running on the electronic communication devices (102). The server side security patrol management 15 application includes a number of features that allows the administrators or managers for monitoring and managing the operations of the security personnel through an interactive visual interface of the application. The server side security patrol management application is a cloud-based application to collect a variety of information to monitor and manage the patrolling operations of the security personnel 20 in real-time. The present invention is a security management system of a restricted-access facility that comprises at least a security node operated by a security officer; at least an occupant node operated by an occupant of the facility; at least a visitor node operated by a visitor; one or more servers having at least one processor and a database, operative to process information including visit data being any one or combination of a visit invitation to the visitor node from the occupant node, a visit request to the occupant from the visitor node or from the visitor through the security node, and generate a visitor pass defined by a QR code; and an online platform operated by the server and accessible by the security node, occupant node and visitor node, capable of receiving information inputs 15 and displaying the information. The QR code is downloaded to the visitor node to be scanned by the security node as validation of the security pass for allowing access of the visitor into the facility upon acceptance of the visit request by the occupant node or visit invitation by the visitor node. The present invention discloses a control system (100) for door lock comprising a server (110);a controller (140) linked to the server (110); anda mobile device (160) having: an application for user to trigger a door unlocking process, means for collecting biometric information of the user, a Bluetooth module to establish a Bluetooth communication link (150) between the mobile device (160) and the controller (140);and wherein door unlocking process includes: the mobile device (160) performs an biometric authentication to verify the user and then transmits an instruction to the controller (140) via the Bluetooth link (150); and the controller (140) upon receiving the instruction, performs a second authentication to verify the user's accessibility and then unlock the door based on the outcomes of the authentications. The present invention discloses an alarm system comprises a plurality of alarm 5 sensors (101), each having a Bluetooth module to establish communication link using a Bluetooth protocol to at least one neighbouring sensor (101) in a way such that a Bluetooth Mesh Network is formed, and a controller (201) connected to the Bluetooth Mesh Network, configured to monitor and manage the status of each alarm sensor (101) and to trigger at least one alarm device (102) based on the status of the alarm 10 sensors (101), wherein the status data of each alarm sensor (101) is transmitted to the controller (201), and vice versa, instructions of the controller (201) are transmitted to at leastone sensor (101) via the Bluetooth Mesh Network. © 2019 TimeTec Cloud Sdn. Bhd Hemû maf parastî ne..